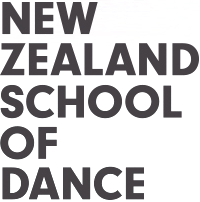 The Ballet Foundation of New Zealand has announced it will be providing support for the New Zealand School of Dance’s 2017 Associates Programme. This national programme provides tuition for secondary school students who aspire to a career in dance performance. Students are chosen by audition, and the programme is free of charge, ensuring access is based on talent rather than the ability to pay. Associates travel to Wellington for four weekends of tuition at the School each year. This year 65 promising young dancers from across New Zealand, Warkworth to Invercargill, are taking part. The Ballet Foundation exists to support, promote and advance classical ballet in New Zealand. With their support, the NZSD Associates Programme can continue to help young dancers take their first steps on the path to becoming professional dancers. Saul Newport performed on 7 March at The Ballet Foundation fundraiser in Auckland, alongside NZSD graduate Laura Saxon Jones who is now dancing with the Royal New Zealand Ballet. Saul was an Associate for several years before becoming a full-time student at the NZSD.